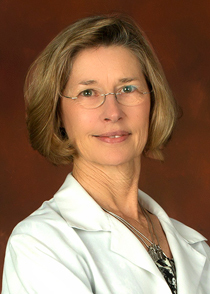 After practicing ophthalmology at the Emory Clinic, Dr. Lynch assumed the position of Chief of the Ophthalmology Section at the VA Medical Center in Decatur in July 1994, a position she held until 2010. During her tenure as section chief, the Eye Clinic volume grew by 900%, surgical case load quadrupled, the residency training program increased from 3 to 5 and a new Eye Clinic was built. The AtlantaVA Ophthalmology Section has become one of the busiest and most efficient in the VA Healthcare System. Several new programs have been developed that are a national model for eye care: a Low Vision Rehabilitation Service, a diabetic teleretinal screening program, contact lens services and an ophthalmic electronic health record that is integrated with the VA Healthcare System. Currently, Dr. Lynch is the Ophthalmology consultant to the southeast regional VA network and chair of the Field Advisory Committee for Ophthalmology at VA Headquarters in Washington. As part of this group, she chaired the committee that created qualification standards for ophthalmology technicians in the VA.
Dr Lynch’s research has focused on the development of new models of eye care delivery and innovative methods of surgical intervention.